The last few decades have seen a pretty dramatic rise of non-denominational churches across the country. In fact, for those who haven’t visited us in Moretown, we here at the Community of the Crucified One are a non-denominational faith community. But what, exactly does that mean, non-denominational church? Contrary to what many assume, non-denominational does not mean we lack a grounding in a specific faith. At the most simple, non-denominational simply means that a specific church or community chooses not to associate with a specific denomination; non-denominational churches are not Baptist or Lutheran, but simply a Christian church grounded in a faith that centers on Christ’s teachings through the Bible. Given that Christianity as a whole has been a dominant faith in Europe and the Americas for several centuries, it’s easy to wonder why some churches felt the need to break away and form separate church communities. In more recent years especially, with so many options within the Christian faith, it feels like there are plenty of options out there. 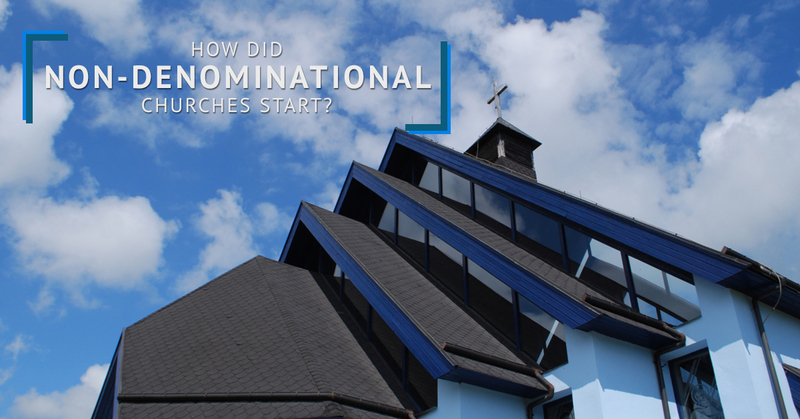 So how did non-denominational churches start, and why did they become so popular? 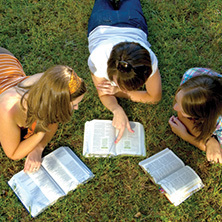 If we truly went back to the beginning—to Christ’s time on earth, His death, and resurrection—well, some scholars can’t even cover that information in a full-sized book, so here’s the extra-condensed version: after Christ’s death and resurrection, His followers took His teachings and followed His command to “go and make disciples of all nations, baptizing them in the name of the Father and of the Son and of the Holy Spirit, and teaching them to obey everything I have commanded you” (Matthew 20:19-20). In what is now called The Great Commission, Christianity found its roots in a command directly from the Son of God. 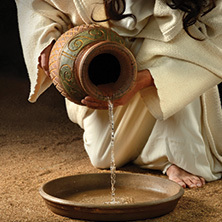 Those who believed His teachings went out and began spreading Jesus’ teachings and trying to convert followers. However, the early Christians were widely persecuted by the Romans, who controlled the Western world at that point, so it was slow going and met with a great deal of resistance. It wasn’t until Constantine the Great came along that those who followed Christ’s teachings could even worship openly. Post-Constantine, when Christians could gather together to worship, they slowly began to organize and set down rules for worship. Out of this eventually grew the Catholic church, which dominated Europe, and Orthodoxy, which gained precedence in Greece and began spreading into Asia. Eventually, Catholicism gained precedence across Europe to the point that it became the state religion for most nations. Of course, that doesn’t automatically mean everyone agreed that the Catholic Church was the only way to practise their faith in Christ. Most of you have probably heard of the Protestant Reformation, which sought to change or stop some of the practices of Catholicism that didn’t seem to really follow Christ’s teachings. When we talk about the start of non-denominational churches, the Reformation was really the first step, as it showed people that they could protest and seek change for practices within the Christian faith that they didn’t believe in. The Protestant Reformation gave rise to, as you probably imagine, the Protestant church. From there, more groups of Christians began banding together about certain points of faith, or in opposition to certain practices that they didn’t view to be Christian. This is ultimately how we ended up with Presbyterian, Baptist, Methodist, Mormon, and so many other sects of Christianity. As Christianity spread to the newly formed United States, even more offshoots of churches began establishing themselves because they had the freedom to do so. In essence, the idea of a non-denominational church is a response to so many different responses to churches that came before. Those churches that broke away from the Catholic church were generally in response to something negative, something they disagreed with. Then more churches broke away from those churches for the same reason. Many of the Christian churches in existence now started as a way to get away from specific practices within a church, rather than because of the teachings themselves. However, most of these churches remained affiliated with other churches of that same heading as a way to maintain organization and strength in numbers. In recent decades, especially after World War II, church memberships in many of the most widespread sects began dropping. People began looking for a church that would fulfill them on a spiritual level where, before, they were attending church by rote, because it was expected. Post-World War II, people became more accepting of different faiths and ideas, began intermarrying more frequently, and began sharing ideas from a wider variety of cultures. This new and widespread open-mindedness is where non-denominational churches managed to connect with people in a more genuine and spiritually-fulfilling way. 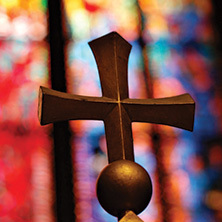 Non-denominational churches began forming in a response to people’s’ need for an authentic connection to Christ, rather than in reaction to a church that came before. This means that most of these non-denominational churches tended to be more welcoming and more accepting of people from a variety of different backgrounds. As those previous churches began to feel stifling and unauthentic, non-denominational churches offered the opportunity to set aside the regimented services and focus on what truly matters: learning about and living Christ’s teachings. If you don’t feel fulfilled at your current church, we here at the Community of the Crucified One would love to connect with you. 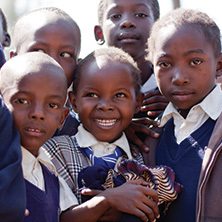 Grow deeper in your relationship with Christ in a community of like-minded believers. Contact us today to learn more or visit us in Moretown today!